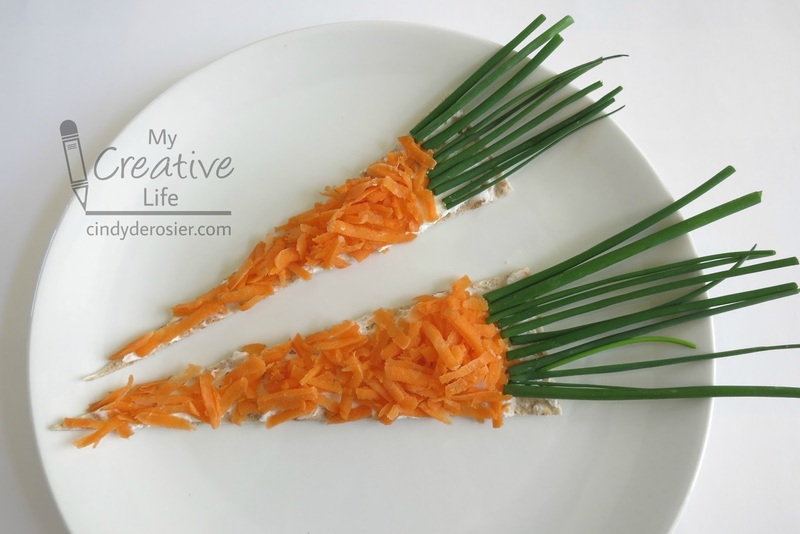 Earlier this week, a thought popped into my head that I should make a snack that looks like a carrot. Using carrots. So I did. 1) Cut the flatbread into long triangles with a sharp knife. 2) Spread cream cheese on each triangle. 3) Put grated carrot on the triangle, leaving the top 1/2" uncovered. 4) Press chives into the exposed cream cheese. Eat the carrot snack as is, or roll it up first to make it easier to eat. Either way, it's delicious. How cool!!! Good party idea. Cute and sounds delicious, although a bit too much carrot for my taste, I would scrap some of it off to get to the chives and cream cheese, LOL! I'm glad to see your vision turn into a reality. That's cute! 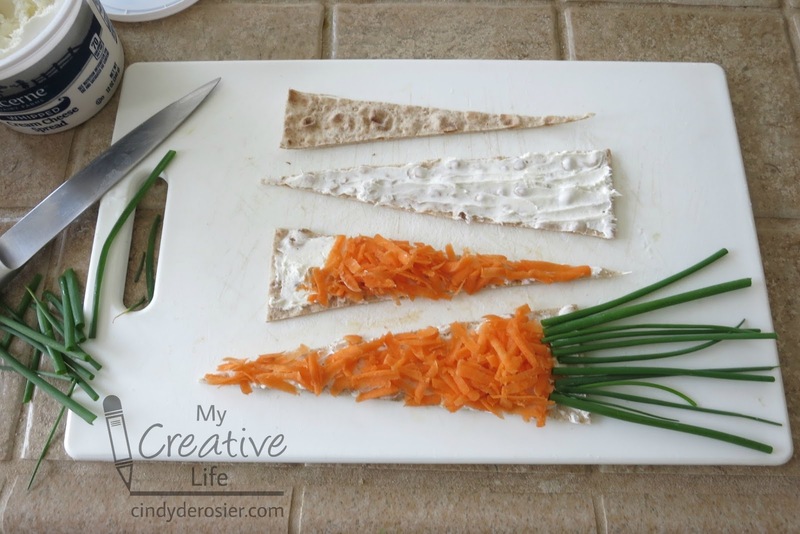 This would be fun for my little guys to make and eat. So clever! Looks very good! I might just try this when out taking care of my grandsons next week while their parents are on vacation! Thanks! Oh this is neat... What a great party snack. Sooooo cute! And I love carrots!